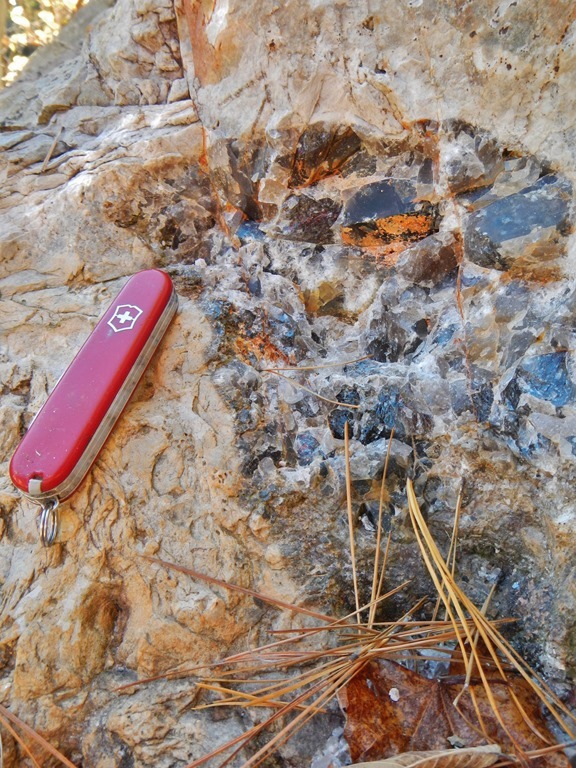 Freshly exposed igneous rock at 3M quarry near Little Rock, Arkansas. 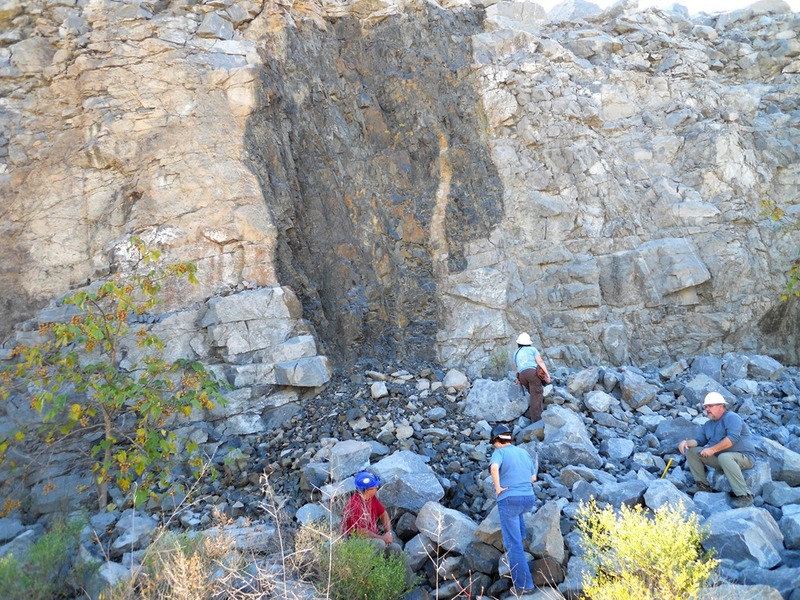 About 100 million years ago, molten rock from the earth’s hot interior was forcibly injected into the bedrock in this area. 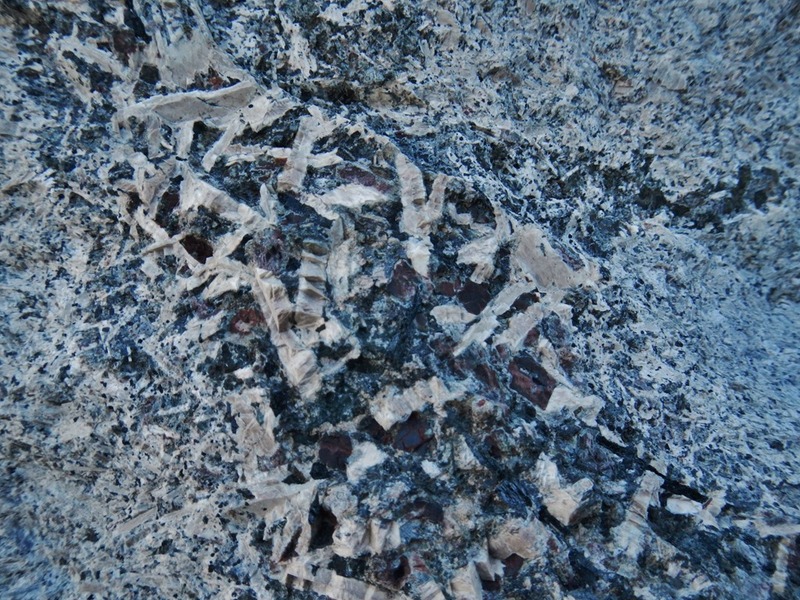 The dark-colored rock you see at the center of the picture is what geologists call a xenolith, or accidental inclusion. 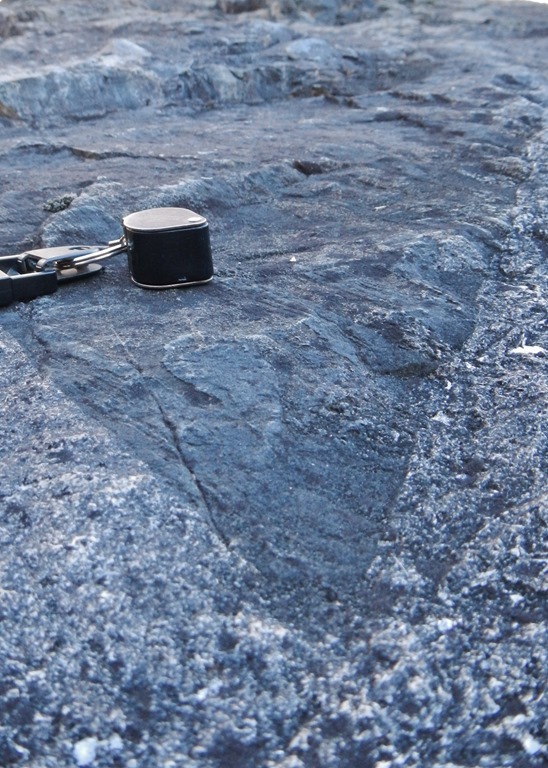 It’s basically a hunk of the bedrock that broke off and got trapped in the magma before it cooled. 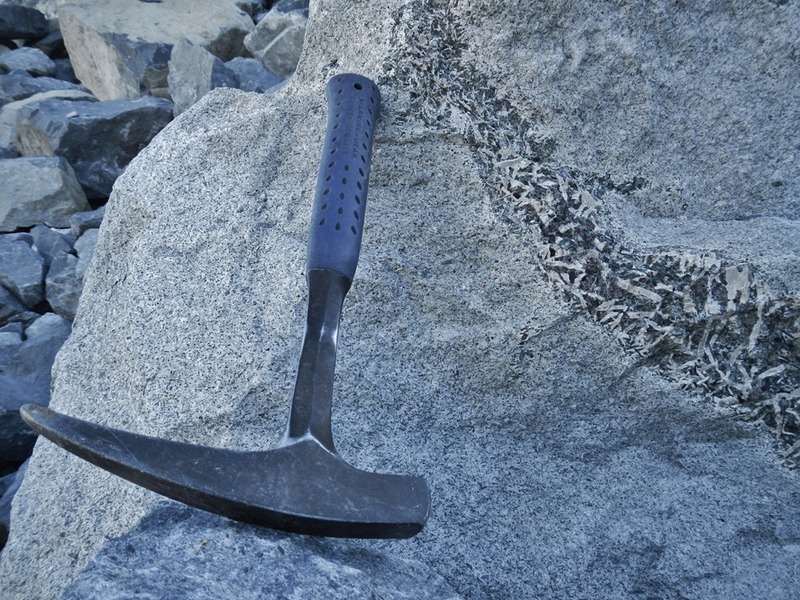 The bedrock was originally shale, but the heat and fluids from the igneous rock cooked and altered the shale so it’s now a metamorphic rock called hornfels. 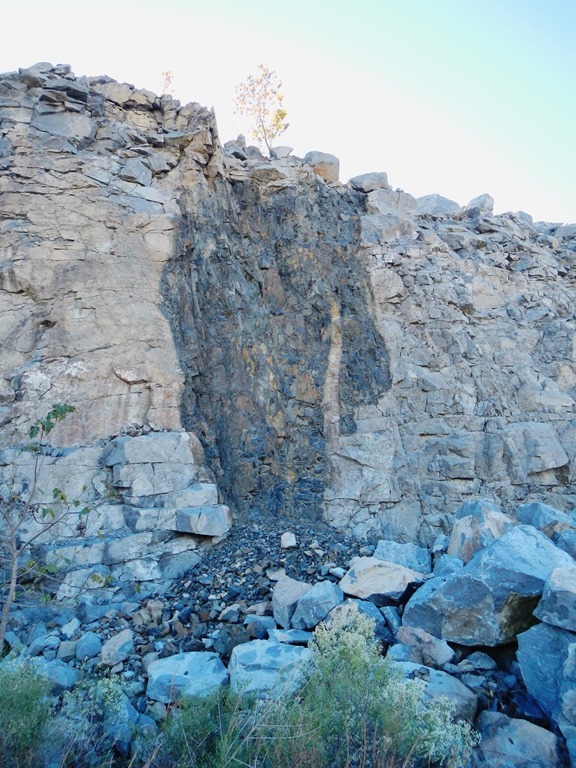 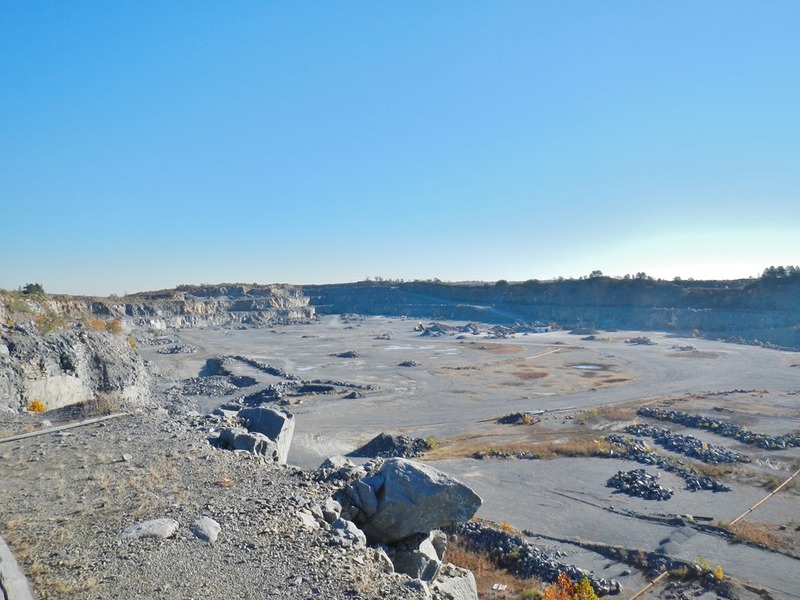 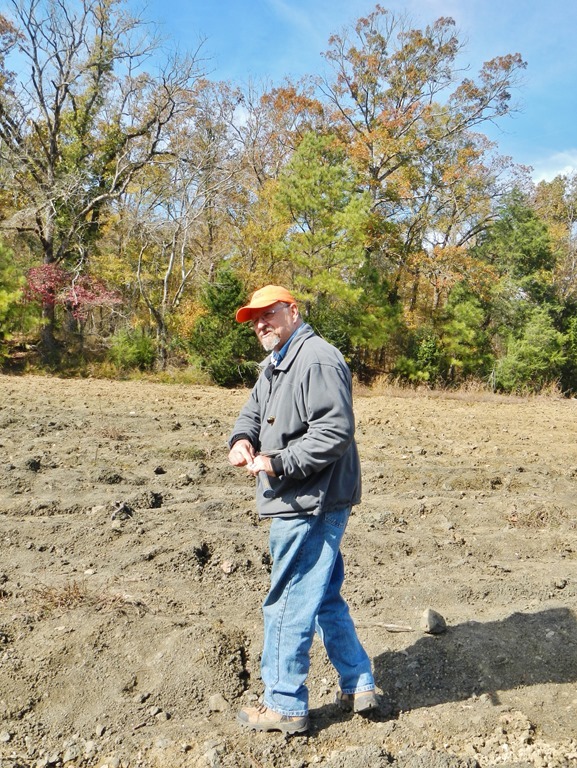 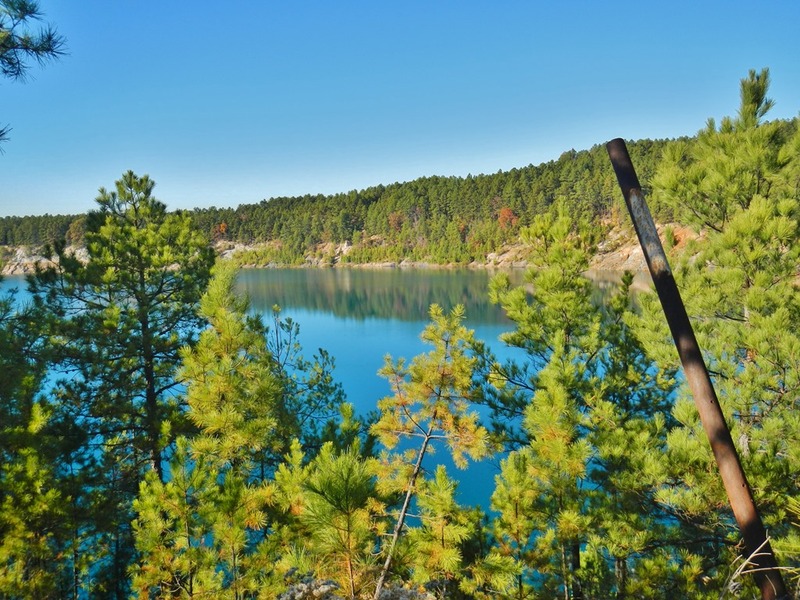 This entry was posted in #geoblog, GeoPic of the Week and tagged 3M quarry, Arkansas, cretaceous, hornfels, pulaski county, Syenite, xenolith on October 15, 2015 by argeology.